Berberine is a nitrogen-based compound found in plants such as goldenseal, barberry, Oregon grape, tree turmeric, and Chinese goldthread. Although used in Chinese medicine for natural healing, it is also being studied for its benefits in controlling blood pressure and blood glucose, particularly in Type II diabetic patients. Berberine is an alkaloid extracted from various fruits and herbs. Berberine is shown to inhibit the growth of many microorganisms, including fungi, protozoa, and bacteria. Studies have shown that diabetic patients who supplement with berberine experience both lower blood glucose levels and improved cholesterol levels. One study involved a group with newly diagnosed Type II diabetes mellitus, and another group with poorly controlled Type II diabetic patients. After supplementing with berberine, both groups experienced improved blood glucose and cholesterol levels that was comparable if not equal to treatment with Metformin (the standard oral medication to control blood glucose levels). A recent study analyzed that the effects of berberine on non-alcoholic fatty liver disease in Type II diabetic patients also found that berberine may reduce lipid accumulation in the liver. While further research must be conducted to confirm this claim, this study shows potential to prevent and treat fatty liver disease as well as help with overall fat loss. Besides helping with Type II diabetes, berberine can help reduces the risk for heart disease and diabetes for people experiencing metabolic syndrome. This term refers to a cluster of symptoms including high blood glucose, high cholesterol, high blood pressure, and high fat content that increase one’s risk of developing diabetes and heart disease. In a study involving patients with metabolic syndrome, supplementing with berberine significantly reduced their blood glucose and blood pressure, as well as helped improve their body mass indices (BMI). Additionally, research shows that berberine effectively reduces inflammation, and because of this may help alleviate symptoms of diseases that cause inflammation such as colitis and asthma. Preliminary studies have shown potential for berberine to help with these such diseases, but further research must be conducted to confirm its effects in humans. 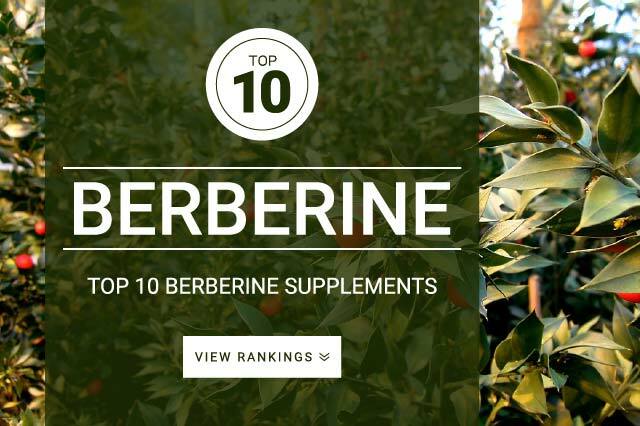 Berberine should not be confused with Berberol, which is the brand name for a supplement that contains berberine in combination with other ingredients. Berberine is NOT a replacement for current medication regimens to treat Type II diabetes or other diseases. It is used to improve symptoms and treatment efficacy, and a physician should be consulted before starting a berberine supplement. Berberine should not be taken if pregnant, and should not be given to infants as it may cause harmful increases in bilirubin. Berberine may decrease the efficacy of the many prescrpition drugs. Side effects of berberine have included some short-term abdominal discomfort and diarrhea. Berberine is shown to work within the body to help inhibit the growth of microorganisms, including fungi and bacteria. On this basis, berberine is supplemented for its anti-inflammatory and anti-diabetic effects. Berberine has been shown to be a potential treatment for various heart related conditions, including, reducing high cholesterol and high blood pressure. Standard berberine dosage is 500 mg – 2,000 mg taken daily in divided doses. Doses for berberine should be determined on an individual basis, especially in combination with other blood glucose modifying medications. Studies typically used a dose of 500mg taken 3 times daily for a total of 1500mg of berberine. Berberine can be taken before a meal to help reduce the potential spike of blood sugar, improving post meal fatigue and crash.